Jon Kyst, Ph.D. (English and Russian), celebrated his ten-year anniversary as a DIS faculty member last year by formulating a new core course in the European Humanities program, A Sense of Place in European Literature, which begins this spring. 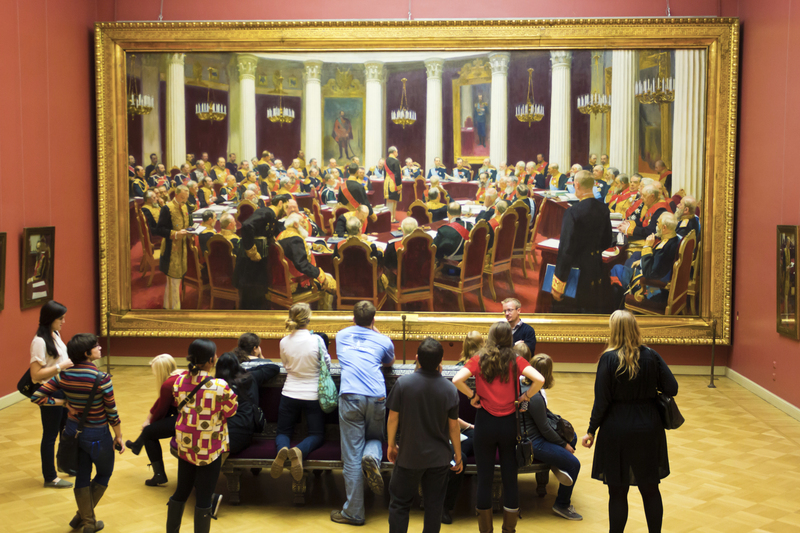 The course focuses on the interrelation between place and text and will take students on a study tour to St. Petersburg as they discover new comparative perspectives on European literature through in-depth analysis of the continent’s most radical authors. On the eve of the course’s first semester, we caught up with Jon to discuss his academic passions and his own deep and long-standing personal relationship with Russia. DIS: You are the instructor for a new core course, A Sense of Place in European Literature, at DIS. Tell us about the academic focus of the course. Jon Kyst, Ph.D.: Usually, we are taught to use time as the organizing feature when learning about literature. 18th century, 19th century, 20th century, etc. But what perspectives open when space determines our choice of texts? What paradigms and prisms appear when we read, say, mid-19th century Dostoevsky as a St. Petersburg writer and thereby as aligned with late 20th century St. Petersburg poet Joseph Brodsky instead of Leo Tolstoy, who also wrote in the mid-19th century, but in another Russian city? And what happens when Joseph Brodsky emigrates to the U.S. in 1972? Does he now become a poet of Michigan, where he continues writing, and thereby aligned with American Michigan-based writers? Or is he still a Russian writer? Does a place have a spirit, which is expressed in the place’s literature, or does literature create the space? 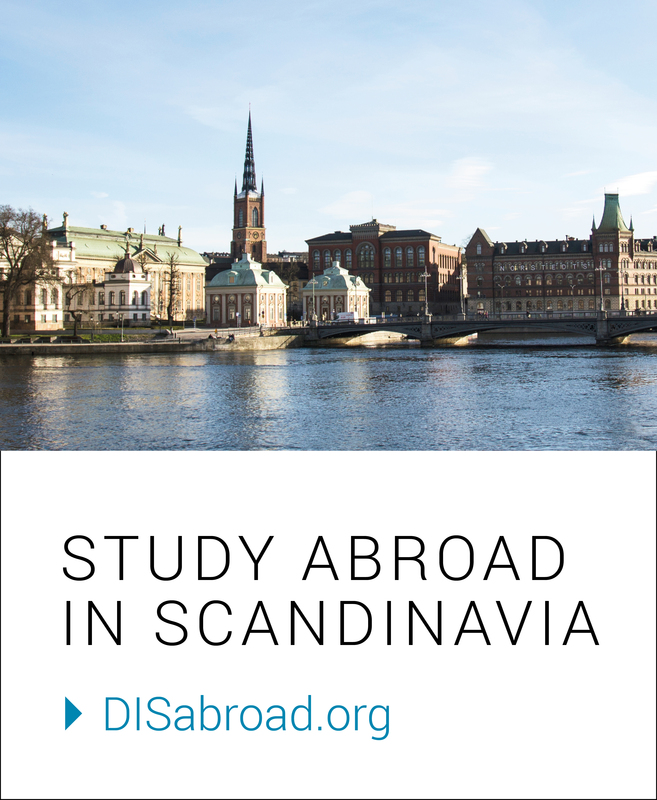 DIS: What does Denmark and Europe have to offer American students in terms of the study of literature? What should excite them about coming to DIS? JK: My students will return to the U.S. having met and read a whole bunch of fantastic, contemporary Danish and Russian writers! All these writers are excited to show the places where they write, about which they write and which they develop through writing. We will walk in their footsteps with them, talk, and feel inspired to write ourselves. These prose and poetry writers, which are all award winning and among the best in my two countries, really deserve to be met and read in their own environment which we do on field studies and Core Course Week here in Denmark, and then on long study tour in Russia. No European writer can bring his favorite European place along if he is invited to give a lecture at a U.S. university. It’s all here! 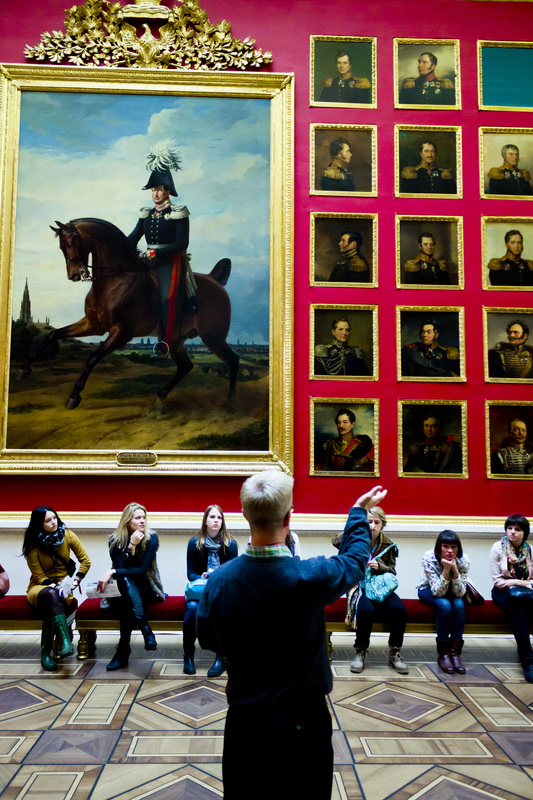 DIS: The study tour for the course will take students to St Petersburg, Russia. What makes this such a good destination? JK: St. Petersburg is really the home of modern world literature as such, not just Russian! When St. Petersburg was built just a little more than 300 years ago, the Russians wanted to build a perfect non-Russian capital in their own country. The kind of alienation that provoked among Russian writers and artists is unpaired anywhere in the world. And remember that alienation is what makes good literature! This is yet another reason why a student who wants to be a writer, should leave America and explore alienation in Denmark or in Russia. That being said, I have never let anyone into Russia without first having learned the Cyrillic alphabet. That makes you feel less alienated, more informed than the tourist crowd that arrive to St. Petersburg on the cruise ships. DIS: I know that Russia is a country close to your heart. Maybe you can tell us a little about your history with the country and why you were first attracted to it? JK: As many European intellectuals, my first interest in Russia was political. In the 1980s, Russia offered a completely different, truly alienating model for a society. I quickly dropped communism, but I got stuck with the language, which I have studied since I was 15. I now speak it as my second first language, I speak Russian with my wife, who is Russian-Ukrainian, and our 5-year-old daughter, Katja, grows up with the unusual bilingual pairing of Danish and Russian. I can’t imagine a life without immersing myself as much into Russia as possible; Russian is an undivorcable partner once you have married the language. I now travel there 10-15 times every year and have lived and studied there for substantial parts of my adult life. 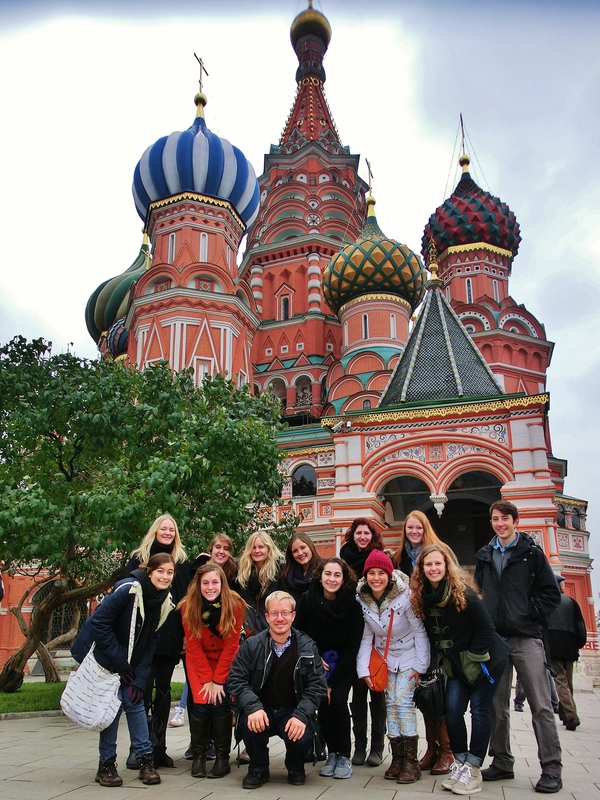 DIS: Alongside teaching at DIS, you work as the Russian interpreter to, among others, the Danish Royal Family, the Danish Prime Minister, the Minister of Foreign Affairs, Russian leaders including President, Vladimir Putin, and Prime Minister, Dmitry Medvedev. How is it to work so closely on international affairs and on a diplomatic level? JK: Of course, it is exciting. I get to meet many fascinating people; I use my language and translation skills in very important situations, and I am proud to be there for the leaders we have elected in Denmark and for the members of the Royal Household. In spite of my love for Russia, I am also very much a Danish patriot! However, there is a lot of discretion and, of course, confidentiality in this job, so I can’t go into more detail. DIS: You have published an anthology of Danish translations of modern Russian poetry, translations of modern Russian literature, both poetry and prose, and I hear you are now working on a new book of contemporary Russian poetry from St. Petersburg – how is that going and is there a publishing date yet? JK: I am finishing an anthology of modern Russian poetry in Danish translation in close cooperation with four of the best Danish poets. I love to write and translate, but I am first of all a translator, not a poet myself. So when translating four different Russian writers, I find four Danish writers who in their style and attitude remind me of the Russian writers I translate. Then I present my translated drafts to the Danish writers, and they suggest changes that improve the text. They can sometimes hear and see potential in the text that I didn’t notice. Hopefully, the kind of finish that they add turns the text into what we all want it to be: Art. DIS: Finally, tell us something about yourself! JK: Well, I have been with DIS for 11 years now, and many students at DIS know me as the professor who takes students to Russia . . . and back. I always add the ‘and back’ to address the potential fear of traveling to a place as arguably different as Russia. I really think that the trip from Copenhagen to Russia gives you the maximum of cultural difference with a minimum of travel time invested; it’s just two hours away on a plane, but when you arrive in St. Petersburg, it is really a very, very different place, and I think that any student of Europe should go there. Russia resists globalization like no other co untry in the world, it struggles every day to remain self-identical. That also means that it is important for me to give Russia a human face. I always organize meetings with Russian students but not in classrooms; rather I give Russian/American student groups a budget for buying groceries, financed by DIS, and then they organize a dinner party in the home of one of the Russian students. No one leaves Russia with me without Russian Facebook friends! It always works out really well in spite of some initial awkwardness, but it is a part of my job that is very important to me personally. I guess it has to do with my growing up in the Cold War when we were all told that there were differences between East and West that represented mutual threat. 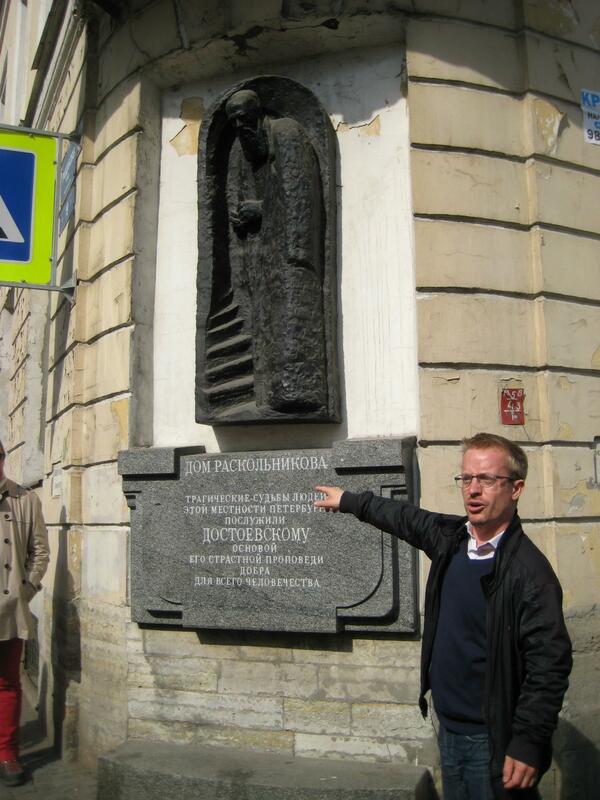 I took the Russian Literature course with Dr. Kyst and went on St.Petersburg/Moscow study tour back in spring 2005. Being able to discuss the literature and then see the places where they were written or set was an amazing part of my semester. I find myself talking and reminiscing about the experience often. Thanks, Dr. Kyst!